The Nigerian Governors’ Forum (NGF) says apart from Lagos and Rivers, no other state can afford to pay N30,000 as minimum wage. Labour leaders and top government officials had arrived at the amount on the eve of a nationwide strike planned by labour. The amount was presented to President Muhammadu Buhari who promised to study it and make his decision public. But at an emergency meeting on minimum wage on Wednesday, governors said paying N30,000 will make states go bankrupt. They, therefore, resolved to raise a fresh committee to meet with President Muhammadu Buhari over the issue. The members of the committee to meet with Buhari over the issue are governors of Lagos, Kebbi, Plateau, Bauchi, Akwa Ibom, Ebonyi, Enugu, and Kaduna. Abdulaziz Yari, governor of Zamfara State and Chairman of the NGF, said it is impossible to implement the N30,000 minimum wage without downsizing the workforce all over the country. He added that the only alternative to paying the N30,000 minimum wage was for the federal government to accede to the review of the national revenue allocation formula. “We have seen what has been presented to the president by the committee, as a member of the committee Kebbi governor said the committee did not take our submission of N22,500 because it came late,” he said. “I am surprised how you can do this without the input of the states, because the states are the key stakeholders in this business. So a situation whereby our report is not taken or considered by the tripartite committee to present to the president then I don’t know how the committee want us to work. “But we still say we want to pay but the issue is the ability to pay. If we say no, it is not about the ability to pay, just pay, I don’t know how this formula will come and I don’t know how we can get solution to the issue. 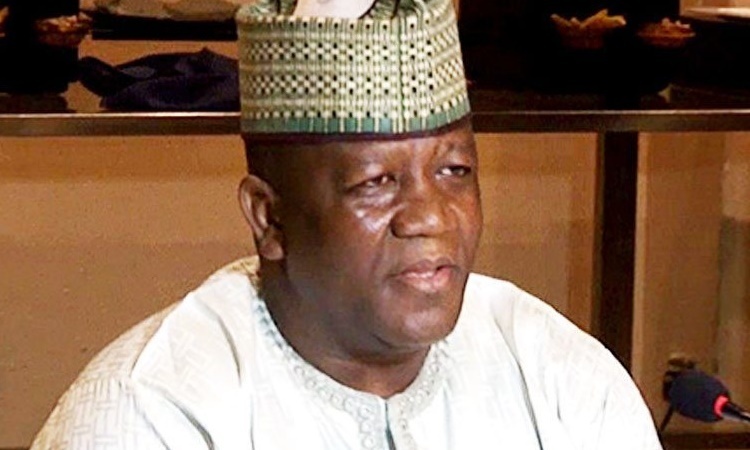 Yari also justified the affluence of governors, saying it is compulsory. “As Nigerians we should look at the issue seriously. While other people are saying that governors are flying private jet and living in affluence, that one is not luxury but compulsory,” he said. Asked the way forward, Yari said, “As for the way forward, we will continue to talk with labour, let them see reasons why governors have difficulties. Some of us have internally generated revenue (IGR). For instance, the money Lagos state is using to pay is not coming from Abuja. They have a way of getting their money from the IGR and that is why they can afford to pay. They get money through VAT. “Apart from Lagos, even Rivers cannot afford to pay. So we have been crying out about this since 2011 but no one will listen. One critical example is that some state ration their salaries while some other put everything they earn on the table and ask labour to come and see and they ask them to suggest how much should go for capital and personnel cost. “Some say 70 percent for personnel cost and 30 percent for capital projects and yet the states cannot pay and they put the remaining as outstanding. “If you are talking about oil, The price is not what it use to be, from last year to date, it is $20 less from $75 to $55. So where is the money to pay? The Nigeria Labour Congress (NLC) has insisted on N30,000, rejecting an earlier proposal of N24,000 by the federal government and N22,500 by states.